Mahindra & Mahindra Power Ministry-arm Energy Efficiency Services Limited (EESL) along with auto maker Mahindra & Mahindra (M&M) today announced a collaborative LED replacement program with energy efficient alternatives across all 18 manufacturing facilities of the latter. EESL, which aims to implement world's largest energy efficient portfolio in the country, will be undertaking project management services for the M&M project, provide better pricing for products and share technical assistance. 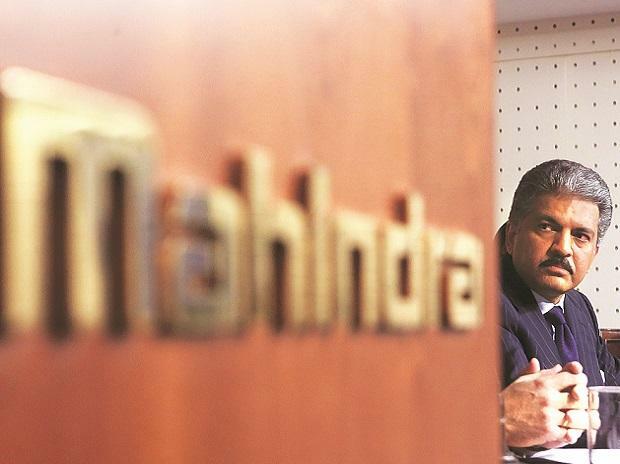 "M&M will be making the entire Rs 16 crore investment for this project with payback expected in one year," Pawan Goenka, managing director at Mahindra & Mahindra told reporters at an event held here today. Through this project, the company aims to save 200 lakh Kwh/annum of energy and reduce carbon emission reduction of 16,400 tonne per annum, it said in its presentation. The entire energy efficiency project comprises installation of LED lights, energy efficient motors and air conditioners, it said. "Energy efficient air conditioners are expected to reduce energy consumption by 15-30 per cent," informed Goenka. While pilot project for energy efficient ACs and motors is currently being carried out, investment for the former is about Rs 6 crore and that for the latter is Rs 7.16 crore. M&M is not the only corporate with which EESL has a collaboration for this program. The power ministry-arm has also in talks with other companies such as NTPC, Power Grid Corporation and will be rolling out a similar plan for the Banking, Financial services and Insurance (BFSI) industry in the next couple of months. "We are in talks with other big banks like State Bank Of India, HDFC, Union Bank and Dena Bank among others for a similar project," informed Saurabh Kumar, managing director of EESL. The company has a capex of Rs 6,000 crore for the current financial year and aim to invest about Rs 8,000 crore next year. Regarding fund raising, EESL's projects are funded using 30 per cent equity capital of the company and balance via commercial or bilateral-multilateral financing. Early this month, M&M also matched the bid made by Tata Motors for supplying electric vehicles (EVs) to EESL. Mahindra will be supplying 150 of the 500 EVs to be delivered in the first phase. The time-frame for the second phase of 9,500 EVs has not yet been announced. When asked if bid price for EVs would remain the same in the second phase, Goenka told Business Standard, "We are yet to decide on that." The total replacement of vehicles with EVs across all ministries, railways and agencies together is about 500,000 lakh which EESL said it aims to meet over next 4-5 years.